Kojima is going big for his first post-Konami game. At Sony's pre-TGS conference, he took the stage to reveal more about his mysterious project, Death Stranding. Death Stranding will be an open-world action game with online components. He says the open world will have a degree of freedom and focus on strong story elements. Kojima isn't ready to reveal what this will entail, but talked about wanting to connect players all "by a rope or strand element." As is the theme of his game, he wants story, game, and world view all connected by a strand. 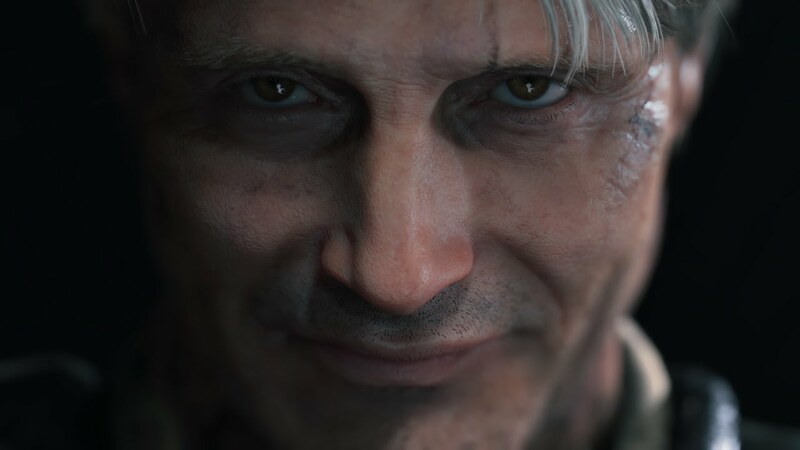 Kojima also announced that an engine has been selected for the game, but he didn't say which, and that the game will accommodate 4K and HDR to give the player the most vivid images. Before peeling off the stage, Kojima stated one last time his goal with his new studio Kojima Productions, that he wants to prove that an indie studio can create "triple-A, world class" masterpieces. Has this game even hit day one of production yet? I don't blame Sony for hyping it to the moon, it's Kojima's first game post Konami after all, but we are at the MINIMUM, three years out from seeing anything tangible materialize. <br/> <br/>Did No Man's Sky teach Sony nothing? Has this game even hit day one of production yet? I don't blame Sony for hyping it to the moon, it's Kojima's first game post Konami after all, but we are at the MINIMUM, three years out from seeing anything tangible materialize. Did No Man's Sky teach Sony nothing? Kojima talked a little about this game,New Engine,Co Op,Robots and aiming to 2018 to release. - <strong><A href="https://www.youtube.com/watch?v=H2Hy96sOnq8" target="_blank">Death Stranding - Teaser Trailer - TGA 2016 - 4K</a></strong> <br/> <br/><img src="https://i.ytimg.com/vi/H2Hy96sOnq8/maxresdefault.jpg" width="95%"> <br/> <br/>Now with Guillermo del Toro and Mads Mikkelsen. Not a lot to really go on, but okay. Now with Guillermo del Toro and Mads Mikkelsen. Not a lot to really go on, but okay. 8 minute trailer. I mean, it basically explains the entire game... Ohhh yeahhh! - <strong><a href="http://www.ign.com/articles/2017/12/11/kojima-explains-death-stranding-gameplay-and-lore" target="_blank">Kojima Explains Death Stranding Gameplay and Lore</a></strong> [mild spoilers] <br/> <br/><div class="forumSpoiler"><b>Spoilers: (Highlight to reveal)</b><br/><em>“Games started over 40 years ago with arcades. When the player dies, it’s game over. You continue, and time goes back to before you die. You can die as many times as you want, but you always go back to a little bit before you die. That was a mechanic made specifically for putting in coins, and it hasn’t changed since then. <br/> <br/>“Most of your tools in action games are sticks,” Kojima continued. “You punch or you shoot or you kick. 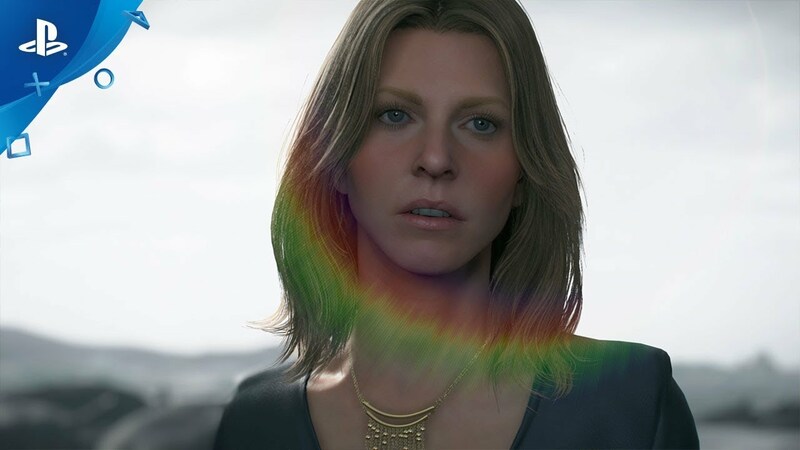 The communication is always through these ‘sticks.’ In [Death Stranding], I want people to be connected not through sticks, but through what would be the equivalent of ropes… But of course you will be able to use the sticks too.”</em></div> <br/> <br/>Very illuminating article. Check it out if you're unsure of what the hell's going on. It'll give you the keys you need to make sense of most of it. Very illuminating article. Check it out if you're unsure of what the hell's going on. It'll give you the keys you need to make sense of most of it. 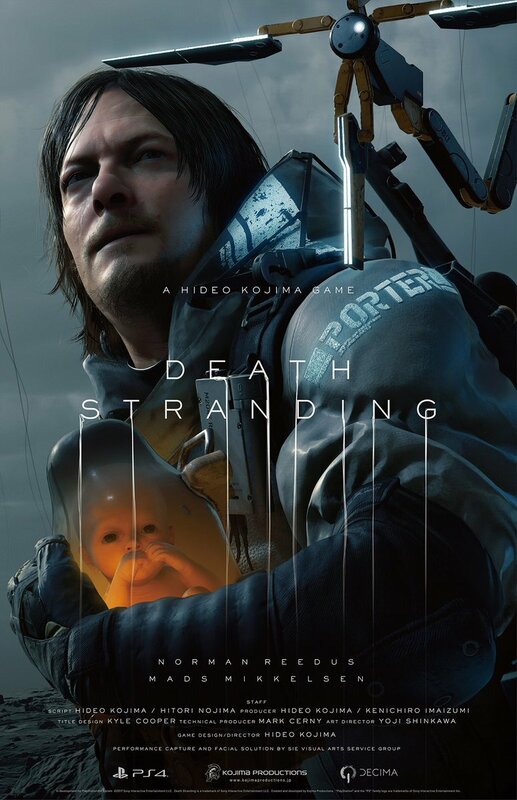 - <strong><a href="https://www.youtube.com/watch?v=rP3UngLFou4" target="_blank">Death Stranding - E3 2018 4K Trailer | PS4</a></strong> <br/> <br/><img src="https://i.ytimg.com/vi/rP3UngLFou4/maxresdefault.jpg" width="95%"> <br/> <br/><em>From legendary game creator Hideo Kojima comes an all new, genre defining experience for the PlayStation®4. Besieged by death's tide at every turn, Sam Bridges must brave a world utterly transformed by the Death Stranding. Carrying the stranded remnants of the future in his hands, Sam embarks on a journey to reunite the shattered world one step at a time. What is the mystery of the Death Stranding? What will Sam discover on the road ahead? A genre defining gameplay experience holds these answers and more. <br/> <br/>Starring Norman Reedus, Mads Mikkelsen, Léa Seydoux and Lindsay Wagner </em> <br/> <br/>More people! More footage! Guaranteed winner of Best Hiking Sim 2018! More people! More footage! Guaranteed winner of Best Hiking Sim 2018! Not a clear idea what this game is about but for sure it's something else,something different from the rest and that's cool,i'll follow the development and info for this game and hope that madman Kojima delivers.